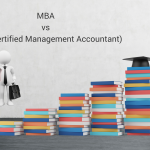 The MBA and the PMP can’t really be directly compared, as they have different goals and requirements. A Project Management Professional (PMP) is an internationally recognized professional designation offered by the Project Management Institute. The exam is based on the PMI Project Management Body of Knowledge (PMBOK), and requirements to sit for the exam include a Bachelor’s degree, at least 4,500 hours of experience leading and directing projects, and 35 hours of formal project management education. The PMP is a professional certification and the MBA is a degree course. An MBA course aims to make students capable of handling all aspects of business situations, and therefore the courses include human resources, marketing, accounting, operational management, and more. Someone with an MBA and not a PMP credential may not have a skillset that reflects the Project Management Body of Knowledge (PMBOK), and someone with a PMP credential and not an MBA may not have a skillset that reflects business analysis and operations. 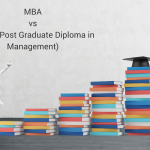 In terms of short-term ROI, there is a huge difference between the amount of money and time needed to invest in an MBA compared with the cost and time needed for a PMP. For example, PMI’s 2011 annual salary survey indicates that getting a PMP will earn you an average of 16% more (approximately US$14,500) than if you were not PMP certified as a project manager. If the cost is around $2,000 for applying, books and materials, that means that for $2k you can expect to increase your ROI by around 625% in the form of a salary increase. If we compare that with what the return would be to graduate from a top-tier MBA program like Harvard, where it costs around $112,000 to make an average of $102,000, this would just lead to a 8.9% return on investment! 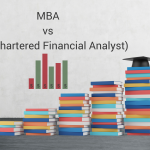 However, for long-term ROI, the MBA would be preferable, as in general, the salary increase with an MBA is far higher. So if you are deciding between the two, the main things to consider are your short- and long-term goals.